The most beautiful, unique flower girl, bridesmaid or party dress. The floral print organza skirt is embellished with stunning coral organza flowers. 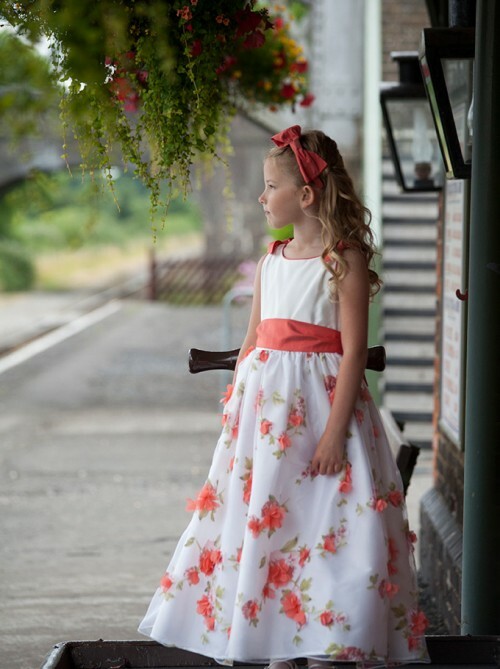 The dress also features an ivory silk bodice finished with contrast piping and shoulder ties, generous integral petticoat, covered buttons and a silk sash in a choice of Coral (as shown) or Ivory.